Is it just us, or did this year fly by? Do you remember the Sochi Winter Olympics in February, or the World Cup in June? Even one of the quickest growing trends, The Ice Bucket Challenge, seems like a lifetime ago. As the year quickly comes to a close, we reflect back on the many exciting and significant events that helped shape 2014. Many people want to know how to make their hair thicker. Unfortunately, there is no magical pill that can instantly achieve this, but there is a product that will give you the appearance of thicker hair as soon as you use it. The solution is Toppik, and the product is Hair Building Fibers. Toppik Hair Building Fibers, available in 9 shades and in 4 different sizes, will give you the confidence that comes with having a full head of hair. Say goodbye to the days of worrying about your thinning hairline, or wondering if you can afford to spend the money on surgery. Toppik is the answer for anyone who’s been worrying about how they can get, (and maintain!) thicker, fuller hair on a daily basis. The end of the year is a great time for reflection. Before you look forward to a fresh start and begin your list of resolutions for 2015, let’s take a look back at the top hair trends in 2014 for men and women. Who knows, maybe you’ll be inspired to try a new look in 2015! Sit back and relax, our Cyber Monday promotion is the stress-free way to shop for you or a loved one this holiday season. 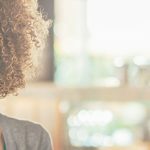 Cyber Monday: What is it and how do I take advantage? Cyber Monday is the Monday following Thanksgiving, and has become the most popular day of the year for online shopping. The best part about this day is that it can be done from the comfort of your own home. Or office. Or favorite coffee shop – well, you get the idea. From us to you – read on to learn 5 crucial tips that will get you through what has become the busiest shopping week of the year. What exactly is Black Friday? Black Friday is the Friday following Thanksgiving, and most often marks the official beginning of the Christmas shopping season (cue the excitement). What that means is, almost every large retail chain will open its doors at the crack of dawn for customers who want the best deals. It’s a day built around coupons, deals, promotions, and sales, and it’s been recorded as the busiest shopping day of the year since 2005. Alopecia areata affects more than 6.5 million people in the United States alone, approximately two percent of the population. Alopecia areata is an autoimmune skin disease that results in hair loss on the scalp and elsewhere on the body. It occurs when your immune system mistakenly attacks hair follicles, which is where hair growth begins. It is not permanent, but experts do not know the cause of the attack on the hair follicles. 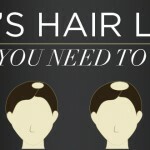 Patients and doctors begin to notice when clumps of hair fall out, which causes small, round patches of visible and exposed scalp on top of the head. While cosmetic solutions, hair regrowth treatments, and laser hair procedures or treatments can be effective ways to restore hair or hide hair loss, sometimes it’s more about what we do on the inside than the outside. Why is it that we always want what someone else has? We often notice that people with thin or fine hair seem to always want thicker, fuller hair, while people with thick, full hair seem to envy those with thinner, more manageable hair. 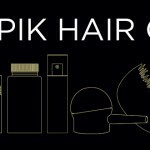 At Toppik, our aim is to help those with fine, thin, or thinning hair find convenient solutions to accentuate the gorgeous hair that they already have. With a few hair tips from us, we hope you’ll finally start to love the hair you have, and no longer wish for anyone else’s hair but your own. Toppik products have been around for more than 30 years, so we think it’s safe to say that we know a little something about the hair game. 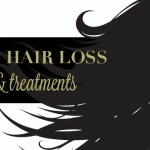 Whether it’s helping to create the appearance of natural-looking thick and full hair, introducing products that help to actually regrow hair, or educating our customers and fans about what it means to have healthy hair, it’s obvious that we are passionate about hair and hair health.